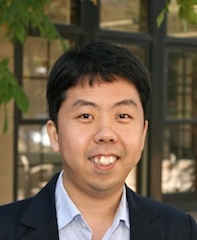 Yong-Yeol (YY) Ahn is an Associate Professor at Indiana University School of Informatics, Computing, and Engineering. He worked as a postdoctoral research associate at the Center for Complex Network Research at Northeastern University and as a visiting researcher at the Center for Cancer Systems Biology at Dana-Farber Cancer Institute after earning his PhD in Statistical Physics from KAIST in 2008. His research spans Network Science, Data Science, and Computational Social Science. He develops mathematical & computational models and applies them to investigate questions from various domains such as sociology, health, economics, and culture. He is a recipient of several awards including Microsoft Research Faculty Fellowship and LinkedIn Economic Graph Challenge. Please visit my publication page or Google scholar profile for the more details on my publications. Our paper A systematic identification and analysis of scientists on Twitter is published in PLOS ONE. Check out an article from Nature News about the paper! Check out an IU Bloomington News article on our new grant on ‘doctor shopping’ with Prof. Brea Perry by National Institute on Drug Abuse!